About Phonics Stars ™ | Fun Phonics Classes for Pre school Children. Fun and Educational toddler groups, helping Children to learn about phonics, letters and sounds. All Phonics Stars ™ classes are based on sound phonics alphabet and phonics words theory, brought to life in ways which engage Children. Through this they learn to recognise the main letter sounds which are combined with energetic dance actions. Children also gain an introduction to digraphs (sh, ch, th etc. ), as well as learning to hear and match sounds. Children begin to learn name recognition, increase listening skills and begin to follow instructions. Children learn to blend sounds when they are developmentally ready. 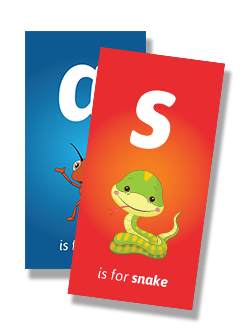 The development of speech and sound awareness is supported with the regular use of alliteration and breaking down words into sounds using interactive phonics games. We also use many props in Phonics Stars™ classes and we provide simple activity ideas so that Children can continue their learning at home. Phonics Activity Challenge Time is specifically tailored to support Children within the Early Years Foundation Stage working across the main learning areas. This includes development of letter recognition, letter formation, pencil grip and building motor strength to form a foundation to support writing and give children the opportunity to share, take turns and develop good social skills. 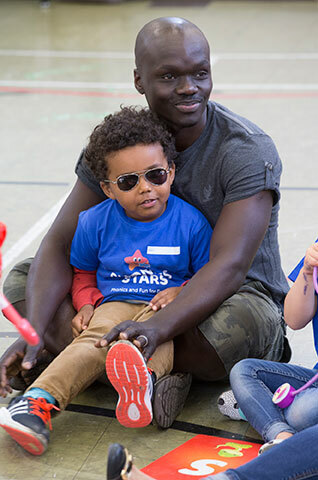 If you are looking for phonics lessons, baby groups near you or toddler groups near you, why not try a free taster session with Phonics Stars™?